Several big fish crowd top of the winner’s list at Baja California Sur tournament. LOS BARRILES, Baja California Sur, Mexico — A good old-fashioned shootout took place on Baja California’s eastern cape in mid-July, as a record jackpot awaited anglers at the conclusion of the 13th annual Dorado Shoot Out. 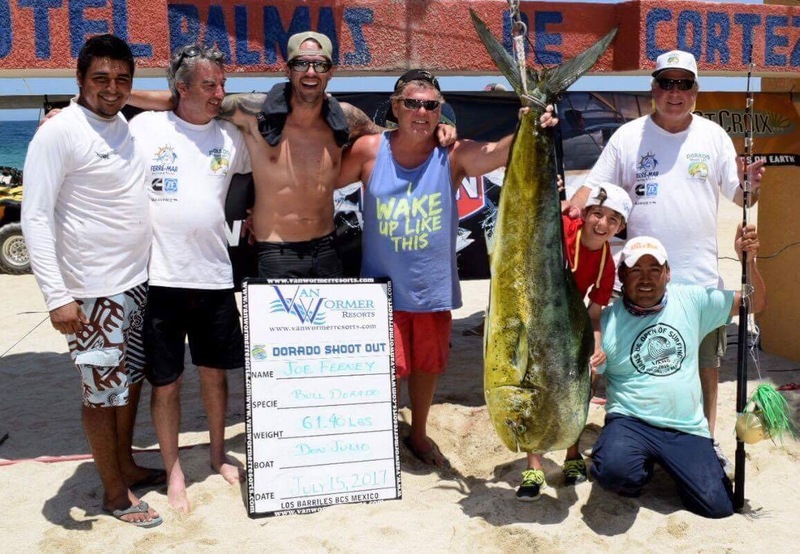 The fishing tournament – held July 15 at Palmas de Cortez Resort in Los Barriles (between La Paz and Los Cabos) – featured a record 141 teams competing for a piece of the $126,480 jackpot (also a tournament record). Anglers aboard Don Julio walked away as the tournament’s winners, as the boat’s Joe Feeney and team reeled in a 61.4-pound bull Dorado. The 61.4-pound Dorado proved to be the heaviest catch after a seemingly epic weigh-in, where the top scale-tipper was consistently beat out by even heavier fish. El Tio was the first boat to weigh-in, with her top catch coming in at 30 pounds. The catch was soon topped by a 52.5-pound catch aboard Amante – only to be bested 39 minutes later by Team El Regalo’s 57.3-pound bull. El Regalo’s remained atop the winner’s list for a mere 30 minutes, according to organizers, as Joe Feeney and Team Don Julio brought their 61.4-pound Dorado to the weighing station. Joe Feeney claimed all four jackpots ($126,480) and a 2017 Volkswagen Amarok; the vehicle was given to Don Julio’s Capt. Lucio Vargas. Team Don Julio was made up of Joe Feeney, Sean Feeney, Brandon Hearn, Mike Bernier, 10-year-old Joe Feeney III, deckhand Yamero Silva and Vargas. 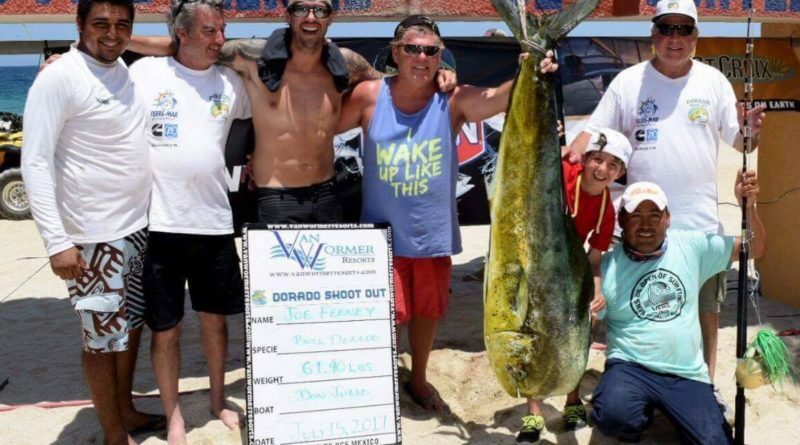 Up next is the first-ever Wahoo Gold Cup, to be held Aug. 26 at Palmas de Cortez Resort in Los Barriles.